Blood Type Diet represents that people blonging to a particular blood group should prefer particular diet. The diet was introduced by Dr. Peter D. Adamo, a naturopathic physician who mentioned it in his book. one to lose weight naturally. of meat and fish but no dairy products. This blood group has the least dietary restrictions. The only foods that need to be avoided are processed foods, although nuts and seeds are not recommended and only small amounts of carbohydrate-rich foods should be eaten. 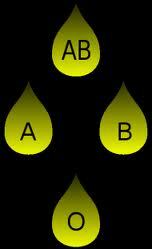 People with this rare blood type should eat a combination of foods recommended for blood groups A and B. This is somewhat confusing, however, when type B allows you to eat most foods, while type A suggests a vegetarian diet! Interesting news. But can you please provide a link? obet. this research work was mailed to me by my colleague, sorry i don't have a link of this. but you can Google it for conformation, if you want to.